Skin problems can be very frustrating. Conventional medicine often approaches most skin outbreaks with topical pharmaceuticals that may often quell symptoms but rarely address the root cause. Therefore, you could be slathering on expensive, powerful, synthetic ointments, lotions or gels that may be doing more harm than good. These 3 natural remedies for eczema are recommended to be used in conjunction with one another. Studies show this formula to be less invasive and more assimilated by the body. It is trio worth trying for several months to see if you can turn your eczema into the healthy skin you deserve. Knowing your relationship to eczema is an important part of combating it. Many people assume that they have contracted something and need medicine to combat it. However, by investigating possible outside or inside factors, your eczema may be able to be treated naturally and, possibly, terminated. Atopic dermatitis (AD) – Caused by immune system malfunction and problems with the skin barrier. Contact dermatitis – A result of skin touching a known irritant and/or allergen. Seborrheic dermatitis – White or yellow flaky, greasy patches in places with more oil-producing glands, caused by a combination of genetics, hormones and microorganisms on the skin. 31.6 million people (10.1%) in the U.S. have some form of eczema with children and women on the front lines. Race varies with multi-racial people most affected and African Americans the least. Half of people with AD report they are “often” or “always” frustrated by their disease. More than one-third of people with AD say they “often” or “always” feel angry or embarrassed by their appearance due to the condition. Two-thirds of people with eczema say their disease interferes with job and household chores. Sixty-six percent of adults say AD restricts what they can eat and drink. One-third report that they spend one to three hours per day treating their disease. Nearly 40% of patients with eczema reported that they turned down a job or an educational opportunity due to their disease. Dealing with the constant itching, redness, flaking, inflammation and many other symptoms of eczema can be harrowing. When conventional medicine only covers up your symptoms, trying a natural remedy may help. There have been many studies linking eczema to a weak gut. When your natural intestinal flora is overrun by “bad” bacteria rather than maintaining the essential balance of good and bad, your body may react in many ways. One way is through the skin. Eczema just may be a clue to an intestinal disruption. 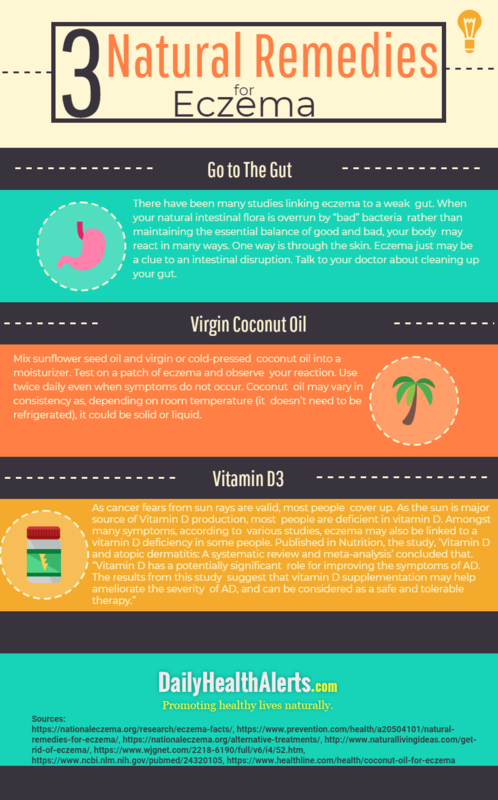 Talk to your doctor or health professional about cleaning up your gut. 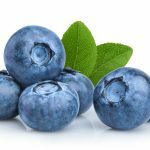 This may mean integrating a daily probiotic supplement protocol into your diet along with avoiding gut weakening foods such as dairy, processed sugars and alcohol. 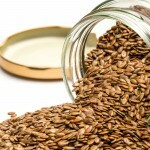 Mix sunflower seed oil and virgin or cold-pressed coconut oil into a moisturizer. 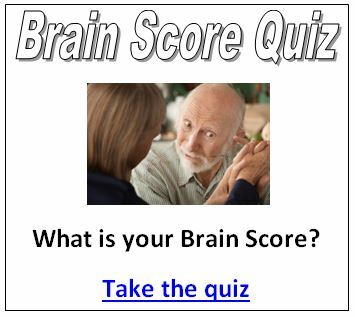 Test on a patch of eczema and observe your reaction. Use twice daily even when symptoms do not occur. Coconut oil may vary in consistency as, depending on room temperature (it doesn’t need to be refrigerated), it could be solid or liquid. Do not dip your hand into your homemade eczema treatment jar as this could spoil it. Instead, pour some in your hand or a separate container. NOTE: If you are allergic to coconuts and possibly just nuts be careful when using coconut oil on the skin. As cancer fears from sun rays are valid, most people cover up. As the sun is major source of Vitamin D production, most people are deficient in vitamin D. Amongst many symptoms, according to various studies, eczema may also be linked to a vitamin D deficiency in some people. 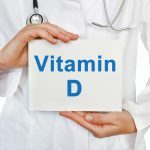 Published in Nutrition, the study, ‘Vitamin D and atopic dermatitis: A systematic review and meta-analysis’ concluded that. Talk to your health practitioner about adding vitamin D3 supplements into your diet. Also, the following foods have good levels of vitamin D: salmon, swordfish, sardines, tuna eggs, cheese, mushrooms, or fortified orange juice, milk, cereal, or yogurt. 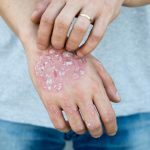 These 3 natural remedies for eczema are a skin formula that could be just what you need get your skin health back on track. Keep in mind that this is a transformative process so results may not be seen for a few weeks or even months. However, it took your body a long time to develop and suffer with eczema so it will take some time to reduce symptoms or get rid of it altogether.